A Fascinating Group of Men & Women! Roger Sherman Baldwin Whitney, M.D., was born June 19, 1905, in Amenia NY, just across the boarder from the family home in Sharon, CT. His personal Whitney family history is most amazing!!! After graduating from Yale in 1928, and Harvard Medical School in 1932, he came to Colo. Spgs. in the mid 1930s to attend to Tuberculosis patients. It was in his adopted home of Colorado that he spent the rest of his life. Roger joined the Army at the age of 35--military frowned on someone ''older'' back then, but he insisted that the army needed a good Medical Doctor, and he went to London to work. 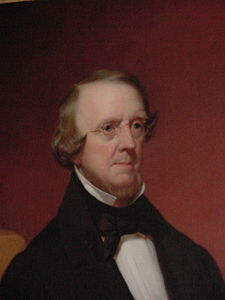 While in London, he stayed with his older brother, William Dwight Whitney, named after their Grandfather. Bill was an international lawyer, had handled the divorce for actors Raymond Massey and Adrianne Allen; he subsequently married Adrianne, and Raymond married Bill's ex-wife Dorothy Whitney. It was here that Roger became uncle & lifelong friends to Anna Massey and Daniel Massey, both stars of Stage and Screen. A little more interesting Roger Whitney family history..... it was his great uncle, Josiah Dwight Whitney, a USGS surveyor, after whom Mt. Whitney was named. And Roger's maternal Grandfather, Simon Newcomb, was one of the most accomplished astronomers & mathmeticians of all times. Roger's own father, Edward Baldwin Whitney, was a foremost Sanskrit scholar, and students use his writings even in this modern time! The sister of Roger's mother, Josepha Newcomb Whitney was Anita Newcomb McGee. She received her MD degree from George Washington Univ., and did her post-graduate studies at John Hopkins. She married geologist and anthropologist William McGee. 1898 saw the outbreak of the Spanish-American war, and Anita proposed the ''Hospital Corps'' which eventually became the Army Nurse Corps. Military doctors were not welcoming to female nurses, but with the dedication to the cause, Dr. McGee, assured that nurses from then on would serve and be honored by all. Josepha Whitney was a prolific artist; her many watercolors, charcoals, pencils, and oils of scenery around the world grace the homes of most of her children, grandchildren, and great grandchildren! A favorite childhood memory was visits by uncle Hass (Hassler Whitney). He and my brother Ed would spend hours talking about math and solving complex problems. It was, indeed, an entirely separate language, and amazed all of us!! Hass' Math accomplishements while at Princeton's Institute for Advanced Study were many, and to his credit he chose to pursue writing books to teach children the importance of math principles, rather than become lead mathematician for Einstein and his nuclear research, who was also at the Institute. Hassler's ELEMENTARY MATHEMATICS ACTIVITIES, PART A, can still be ordered from the secretary of the School of Math, the Princeton Institute, NJ, 08540. 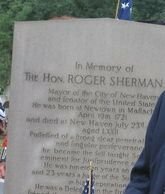 And going back to the founding of our country, Roger's GGGGgrandfather, Roger Sherman...... His father died when Roger Sherman was only 19, and he was left to care for his mother and siblings. He made sure his younger brothers got a good education. All of these things he did ''with great kindness and cheerfulness,'' all the while pusuring his own education--- he was known to have an uncommon thirst for knowledge! In 1754, Roger Sherman was admitted to the Bar of CT, and soon became a distinguished lawyer. As our Country began to form, he was fully in agreement with the statement ''United we stand, divided we fall'' and kept to this throughout the years. Eventually he became totally involved with the Papers of the United States of America, and was the ONLY person to sign each and every one of them--- the Articles of Confederation, the Constitution, the Declaration of Independence, & the Bill of Rights. To see each of them, and more, Click Here. Most of the framers of the Constitution thought that Congress would be the branch of government that set the national agenda. The executive branch was to help the Congress do this. ALexander Hamilton may have relished a powerful executive, but Sherman was in the mainstream of thinking on this issue. ''If the character of a man's religion is to be tested by the fruits it produces, the religion of Mr. Sherman must be admitted to have been not of this world. He was naturally possessed of strong passions; but over these he at length obtained an extraordinary control. He became habitually calm, sedate, and self-possessed. Source: Rev. Charles A. Goodrich Lives of the Signers to the Declaration of Independence. New York: William Reed & Co., 1856. Pages 158-169. THE HON. ROGER SHERMAN, ESQ. And Senator of the United States. ability in the national legislature. true faithful and firm patriot. Died in the prospect of a blessed immortality." Roger Sherman's grandson, Roger S. Baldwin, was a great man of integrity and distinction in his own life. Going forth with the principles set forth by his forefathers, Roger Baldwin later argued for the African Slaves before the Supreme Court, along with with African Slaves. This ended in the FREEDOM OF THE SLAVES!!! 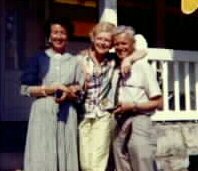 I am so thankful that it is in my genes to KNOW All Men & Women Are Created Equal, and be totally non-racial!! If you have not seen the great 1997 Steven Spielberg movie, Amistad, I highly recommend it!! Stars Morgan Freeman, Nigel Hawthorne, Anthony Hopkins, Djimon Hounsou, Matthew McConaughey, & Anna Paquin to name a few.